What kind of wood is this and what is the finish? The cabinets are natural maple with a harvest glaze. The floor stain is expresso. Thank you for your question. Light cabinets with dark granite.. With under lighting! 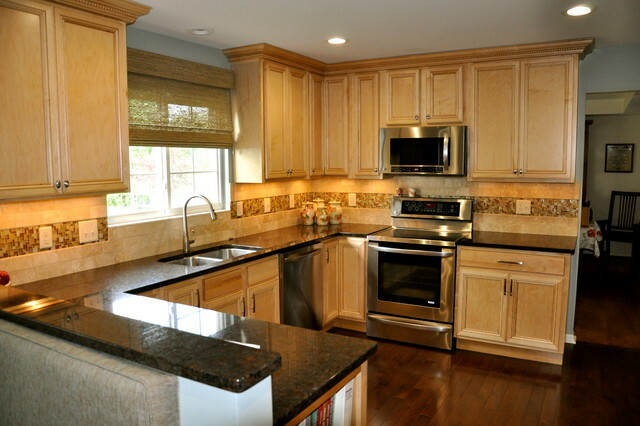 Natural maple cabinets with Tan Brown/Indian Brown granite counters.